Cutting edge super-antioxidants and potent concentrations of V8 peptide complex™ make this age defying cream a five star anti-ageing treatment. Fortified with mega doses of vitamin C it works to awaken and hydrate the skin, assist relaxation of muscles and help to reverse and diminish the signs of ageing whilst providing a feeling of instant lift. Never ending youth! 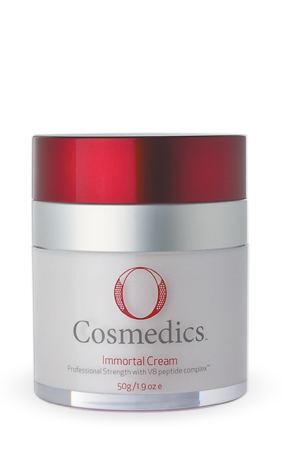 Perfect for line and wrinkle relaxation, age prevention, super hydration, youth and radiance.